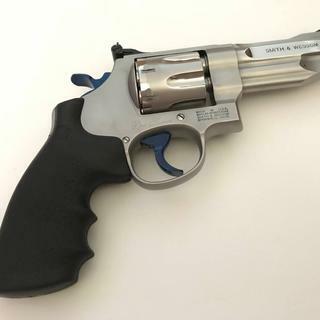 I wanted a Smith 357, the larger N frame 627 fits my hands better than the L frame 686. The price differential between the two 4 inch Pro series models was negligible so I went bigger for a range/home defense gun. I plan on shooting lots of 357, the weight and size of the 627 should help tame recoil. I like the S&W revolvers and I mainly picked this frame for the 8 rounds. Based on advice from people I trust, this will hopefully sit unused for an extended period but is ready for action when needed. Excellent reviews. 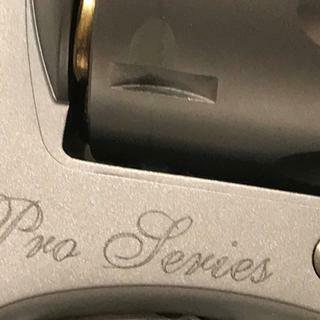 Pro Series. 8 round cylinder. Smith & Wesson. Wanted a revolver for my collection. I wanted a high quality revolver. Tough choice between the Redhawk and this. 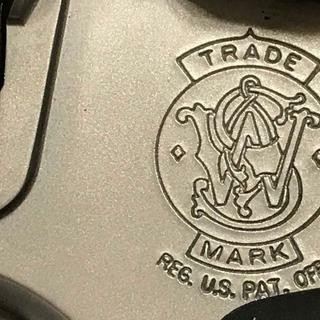 The trigger was the deciding factor in choosing the S&W 627. 8 shot, cut for moon clips, S&W. I opted for this 8 shot not really knowing how it would effect the balance or feel. It does not negatively effect either. This gun is awesome! Highly recommend. very happy, will be back. 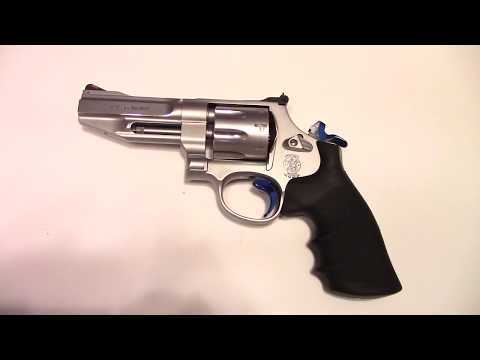 very nice revolver at a great price with fast service and delivery. No hidden fees. Great revolver. Easy to shoot. All business. Great price at Gran A Gun and delivery. 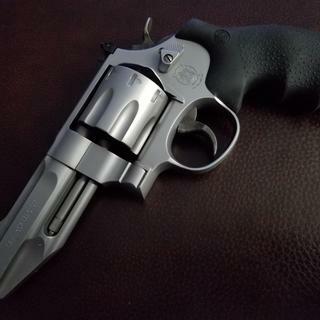 My favorite revolver from Smith...8 shots of .357 goodness. 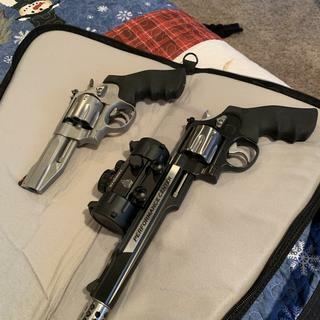 I was at the range with it and my other S&W 686 ported 6 inch barrel last week and I love both, but to 627 is superb, the trigger is smooth throughout the travel length of the trigger. The trigger travels much quicker due to the cylinder w/2 additional rds. I'd highly recommend the 627. Beautiful revolver, amazing trigger, balanced perfectly for hardly felt recoil. This is definitely a forever gun! And of course, 8 shots is just dessert! This is a really nice looking gun. A bit more $$$ than some of the 686 and larger frame, but it takes the kick really well and nice to have the 8 round capacity. I love the trigger (better than my S&W 629 44 Mag). Grab a Gun has the best prices online. The delivery was quick. The placing of the order was easy. Quality of the firearm is outstanding. 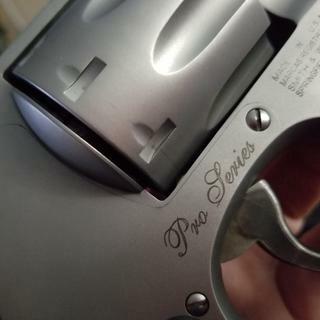 I am happy with my S&W model 627 Pro Series 357 Mag. This is my 1st .357 S&W that I purchased and I'm happy I did. Just has been awesome. Beautiful finish, terrific trigger and very accurate. Came with perfect F&F, everything looks great. The DA trigger pull was a little gritty, Smith ships them with sandy feeling oil on the internal. After cleaning it up, everything is silky smooth. I'm also impressed with Grabagun. Great price, and my order shipped before I expected it to. No complaints. I now have more than 1,000 rounds through this. No problems at all. Great trigger, very smooth in DA. The SA breaks at roughly 4lbs, maybe a tad less, very crisp. Out of the box it's a tack driver. 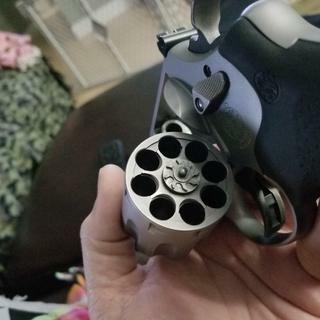 This is an N-frame revolver. Shooting .38spl is like shooting .22LR, almost no kick. The extra frame weight soaks up , and makes the flinch pretty much go away. almost all the kick for 125gr-158gr rounds. The extra weight and size really comes in handy when shooting 180gr Underwood ammo. I use this for home protection, critter protection, and at the range. A fine firearm.This was my first GAG purchase, went smoothly and I've made 2 more since. I recommend GAG to friends. 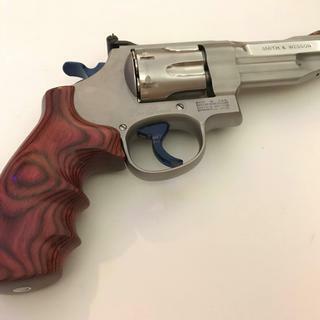 .357 Magnum with Single/Double Action. Four inch, one piece Stainless Steel Barrel. Stainless Cylinder. Rubber grip. Large frame. Eight-shot capacity. Interchangeable front sight, adjustable rear sight. Precision crowned muzzle. Chamfered charge holes. Bossed mainspring. Internal lock. Cable lock.